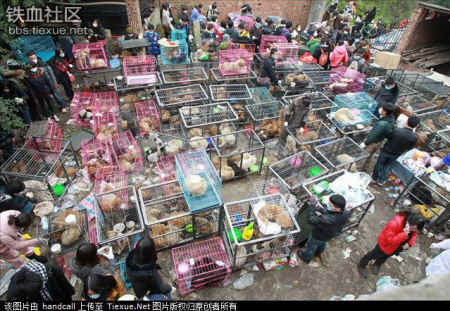 At 10 pm on January the 15th of 2012, a couple on their way home to Chongqing, southeast of China, found a truck on the highway of Chengdu-Chongqing, filled with over one thousand caged dogs. Thanks to the couple who dialed 110 when they saw this, the police were able to apprehend the drivers of the truck at the next toll station. It was counted later that 1132 dogs were squeezed into miniscule cages being transported thousands of miles to the Guangdong Province, in the south of China, to be slaughtered and eaten at various restaurants. 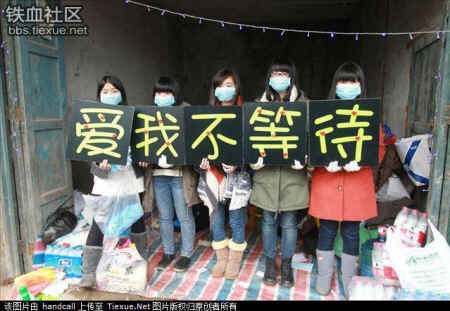 At 11 pm messages were spreading over the internet through micro blogs such as Chinese Twitter, causing Mr. Chen Ming Cai （陈明才）, the founder of the Chongqing Small Animal Protection Association and other volunteers to arrive at the scene. The situation was handled well by the police officers who helped volunteers give water to the caged dogs and removed the cages from the truck later as well. After many long negotiations for more than 20 hours, it was finally at 6 pm on the 16th of January that the dogs were released to the Chongqing Small Animal Protection Association (CQSAPA). The dog nappers were found to have a Certificate of Quarantine for the truck of dogs, but it was later found that not only was the certificate for 780 dogs, not over 1100, it was also fake and had a forged signature. The poor dogs were crammed into the truck which had eight levels, which meant over 100 dogs were crowded into one level each. Some dogs were found dead from the severe conditions in the truck, and a female dog was found to have given birth to four puppies during the negotiations. Many thanks goes out to Dr. Li, a veterinarian from Chongqing, who worked for over three days and nights to treat injured dogs and take care of the mother and her new born puppies. Many of the dogs were found wearing clothes because of the cold winter, which made it obvious they had been someone's companion animals. Many were also wearing collars, indicating that many dogs were kidnapped from their rightful owners. It took a lot of time and hard work to remove all the dogs from their cages in the trucks to be transported to larger cages which were donated by loving volunteers. All of the dogs received a medical checkup before being transported in three trucks being replaced. CQSAPA was established in 2005 by Mr. Chen Ming Cai, and since then there have been thousands of dogs rescued before the latest one, while the shelter itself has around 800 dogs that are being cared for by him and his wife with the help of the volunteers. The maintenance of the shelter mostly comes from donations by loving people. 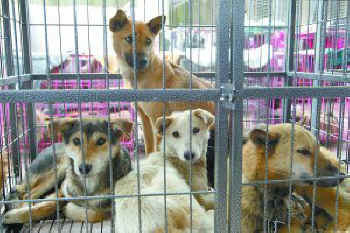 Anyone interested in adopting a dog from the shelter can do so by contacting Mr. Chen Ming Cai, phone no: 86 130 3239 9871. We encourage people to adopt dogs from shelters like these instead of buying a dog from a store, as this will help decrease the overpopulation of dogs in China. Many thanks to all of the volunteers who helped by staying up overnight and working diligently to have all dogs rescued and safe, this could not have gone through without them. We must all view this event as the start to a better life for the animals of China, and continue to rise to the challenge of saving these animals. 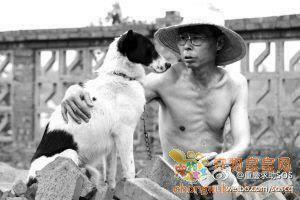 We welcome the growing appreciation and awareness for the care of animals increasing all over China. Please help this man. 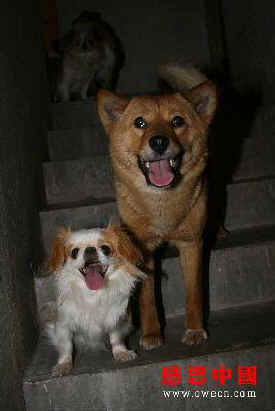 Donate to Chongqing Small Animal Protection Association. Images of the rescue and the rescuers and the rescuees! "Don't wait if you love me"